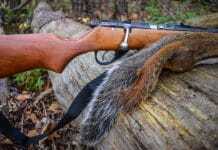 Do you securing your weapons, and now we can show you an economic solution to do just that. 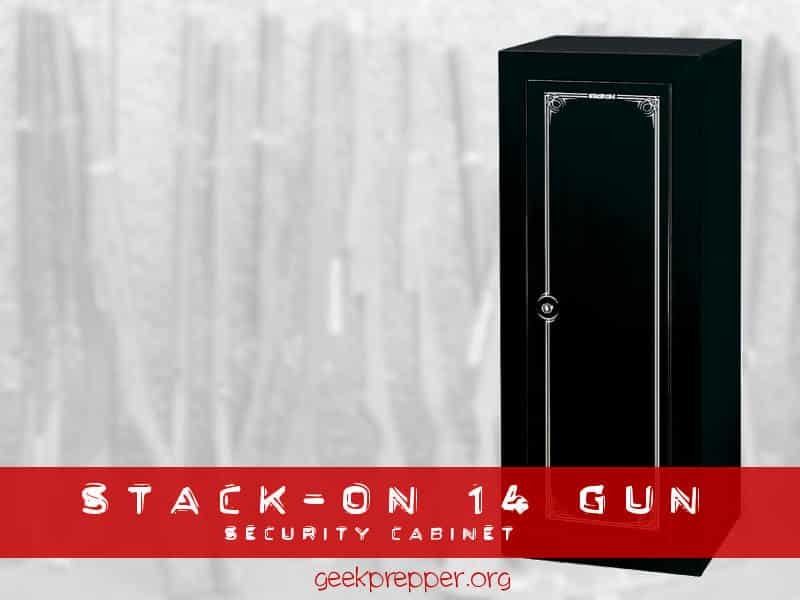 The Stack-On 14 Gun Security Cabinet is a great way to provide that security. You may not be able to afford a full blown gun safe, but that doesn’t mean you shouldn’t have some method to protect and secure your guns! 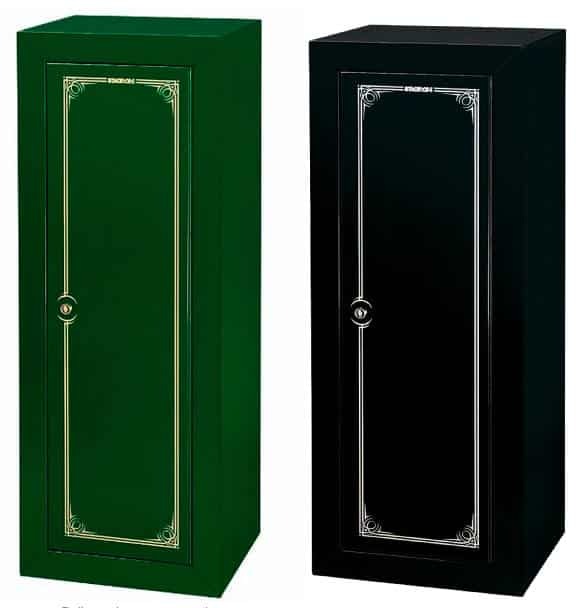 Stack-On makes a full line up of gun safes and security cabinets. 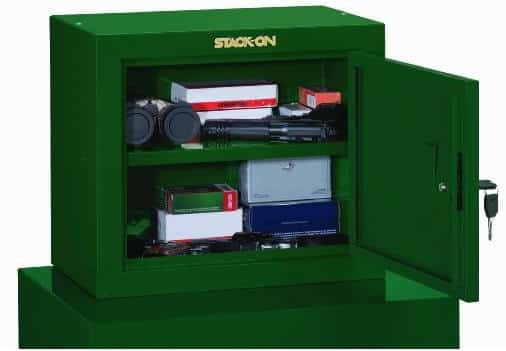 The Stack-On Gun Security Cabinets aren’t what you’d call a full-blown gun safe, but it is an economic solution and much more secure than sticking your guns in the closet or hiding them under your bed. Secure 3 point locking system installed on the pry-resistant door. 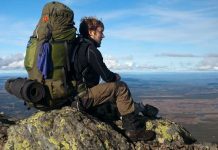 Meets requirements of California Penal Code Section 12088. Measures 21 x 16 x 55″h. If properly secured to the wall and floor the Stack-On Gun Cabinet should prevent unauthorized tampering by your children and also prevent theft, from all but the most determined and prepared thieves. The idea location to mount this Security Cabinet is in a corner. Drill holes in the side of the cabinet so that they line up with your wall’s studs. Toss out the 1.5-2 inch bolts that come with the Cabinet and replace them with some stout 3 or 4 inch bolts and use the largest washers you can find. Once this cabinet is secured to two walls and to the floor below it won’t be going anywhere. 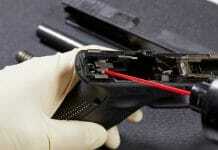 The only issue after properly mounting the Stack-On Gun Cabinet securely is where you’ll keep the keys! You can expand this firearm storage solution further by adding the Stack-On Steel Pistol/Ammo Cabinets, an optional add-on to the Stack-On gun security cabinets. Sure there are more secure gun storage solutions out there, but you good luck finding one as inexpensive and as secure as the The Stack-On Gun Security Cabinets!